Holy guacamole! 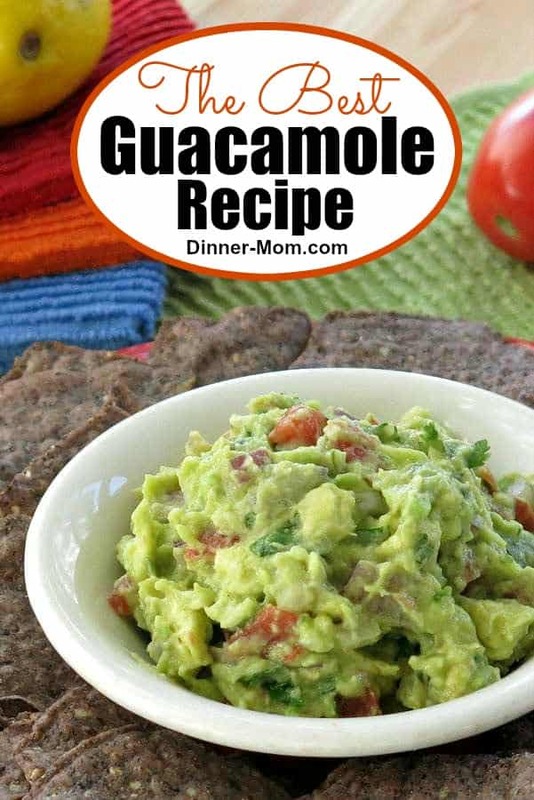 That just about sums up what you will say when you taste this simple guacamole dip recipe and see how easy it is to make it fresh. 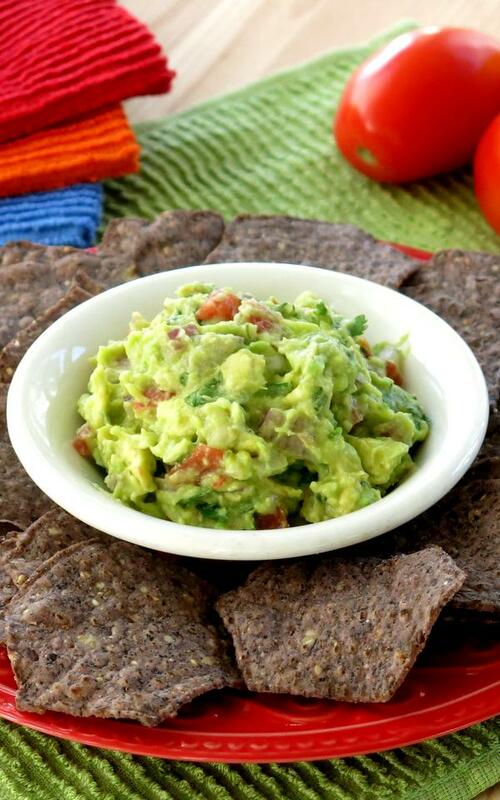 The flavors of avocado, plum tomatoes, sweet onions, and cilantro perfectly meld together in homemade guacamole. Add cayenne pepper if you want a little heat. It’s a healthy dip that can be eaten on almost any diet! Of course, it’s an amazing appetizer that’s a must for any party. It’s also a topping for Mexican recipes like Stacked Burrito Pie. 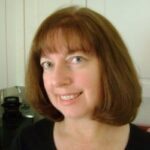 Or, use it to make Guacamole Stuffed Deviled Eggs, 10-Minute Cajun Shrimp Guacamole Dip or in Guacamole Stuffed Mushrooms. It’s easy to make this dip with fresh ingredients and well worth the effort to enjoy this healthy treat at home. Follow the mini-tutorial below or jump down to the recipe and enjoy! These are Hass avocados. You can tell because the skin is bumpy and turns from green to purple as it ripens. 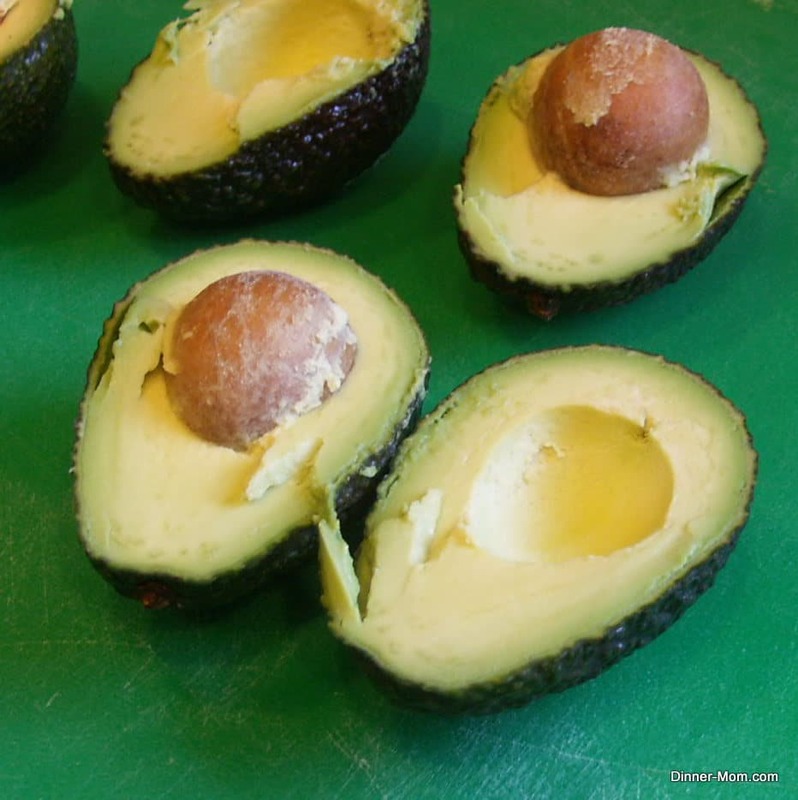 There are many different types of avocados. This variety is usually available year-round. It works well in guacamole because it doesn’t get mushy and will give the dip a little bit of chunkiness. When it’s just soft to touch, it’s ripe. Before working with the avocados, I like to prepare all of the other ingredients first. Seed and then dice the plum (or Roma) tomatoes so that only firm flesh ends up in the guacamole. If you’ve never done this before, this type of tomato is easy to work with due to the relatively small size. Slice off the top and bottom of the tomato and then cut the tomato in half (long way). 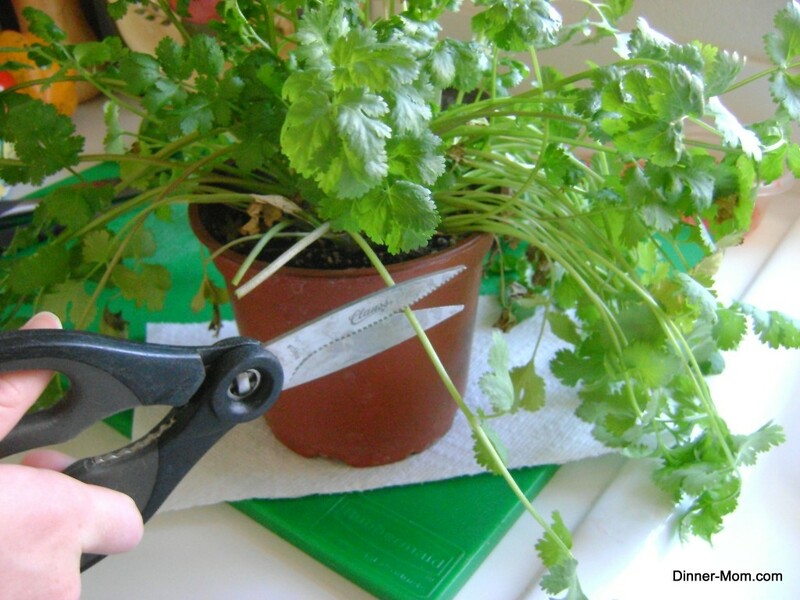 Run a knife along the skin to remove the soft flesh and seeds. 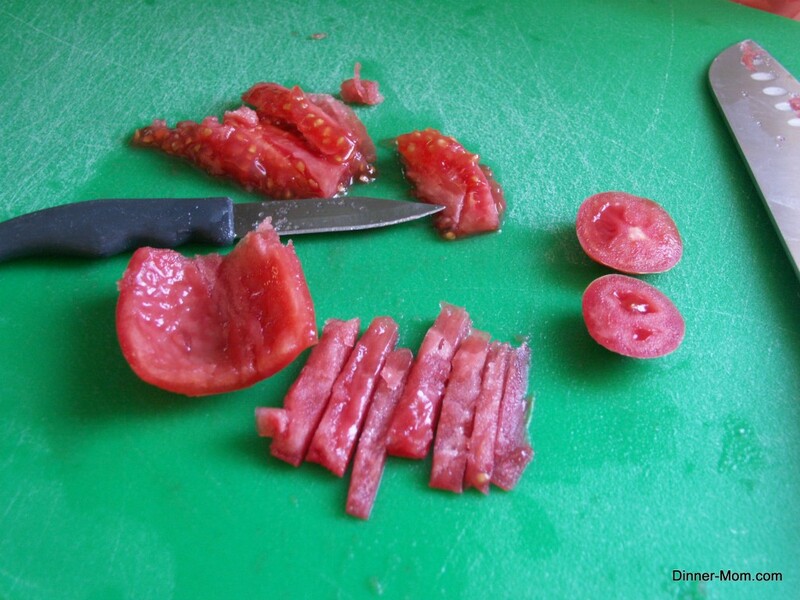 Now, cut the remaining tomato into strips and then cut in the other direction to make small diced pieces. This cilantro plant is in dire need of a haircut! I’m not very successful at growing herbs. But, I usually buy a small plant, instead of a bunch from the grocery store, and work with it for a while in hopes that my luck will change. 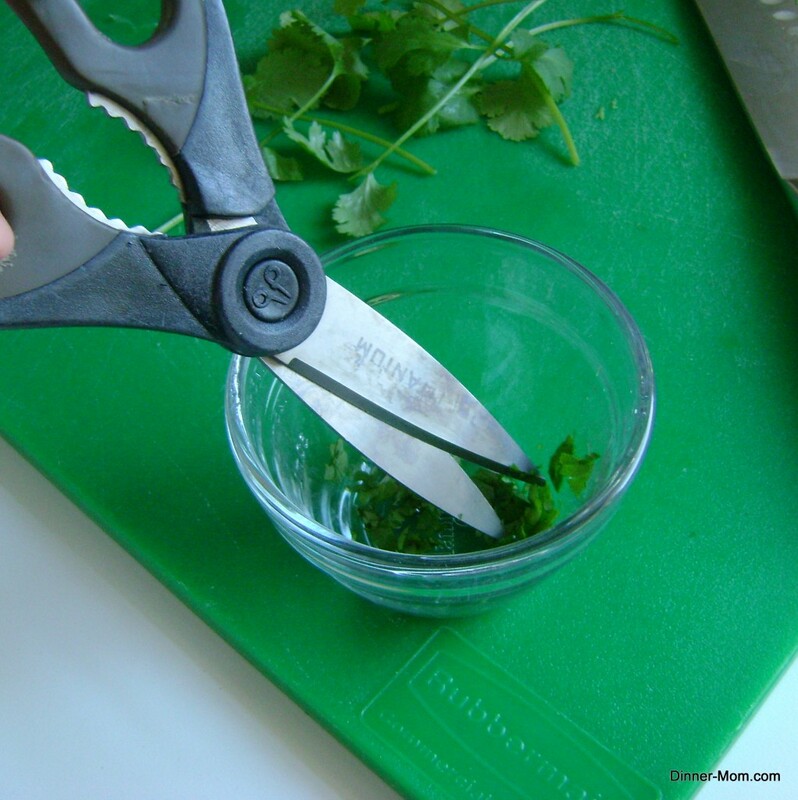 Cut or pull some leaves from the stems, place them in a little bowl and then just snip with scissors until the cilantro is in small pieces. Really. 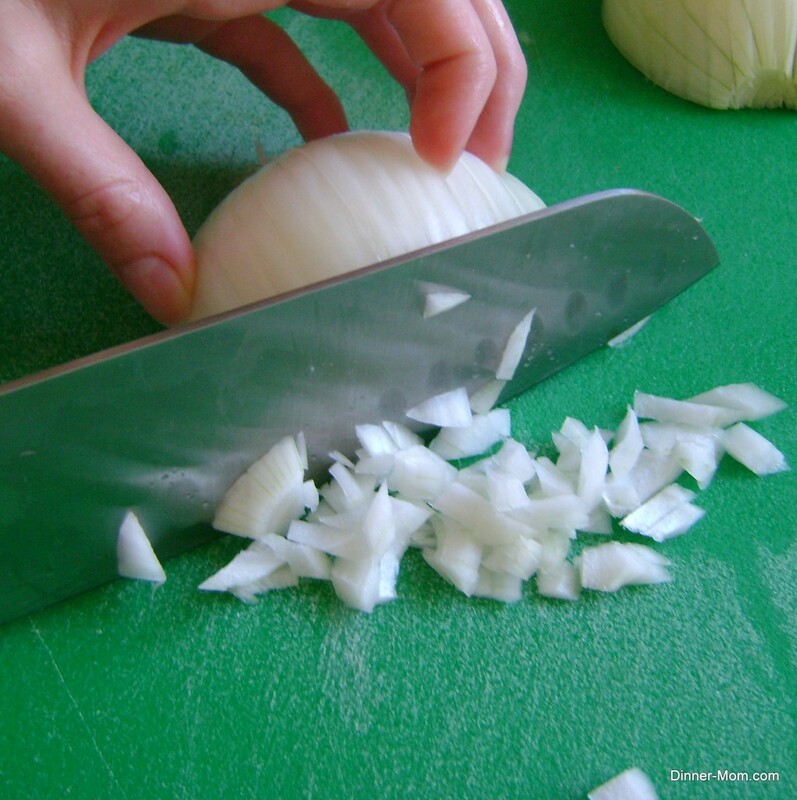 There is no need to drag out a knife! Dice the onion of your choice, the smaller the dice the better. A sweet or red onion works best. Rotate slightly and use a fork to pull out the seed. 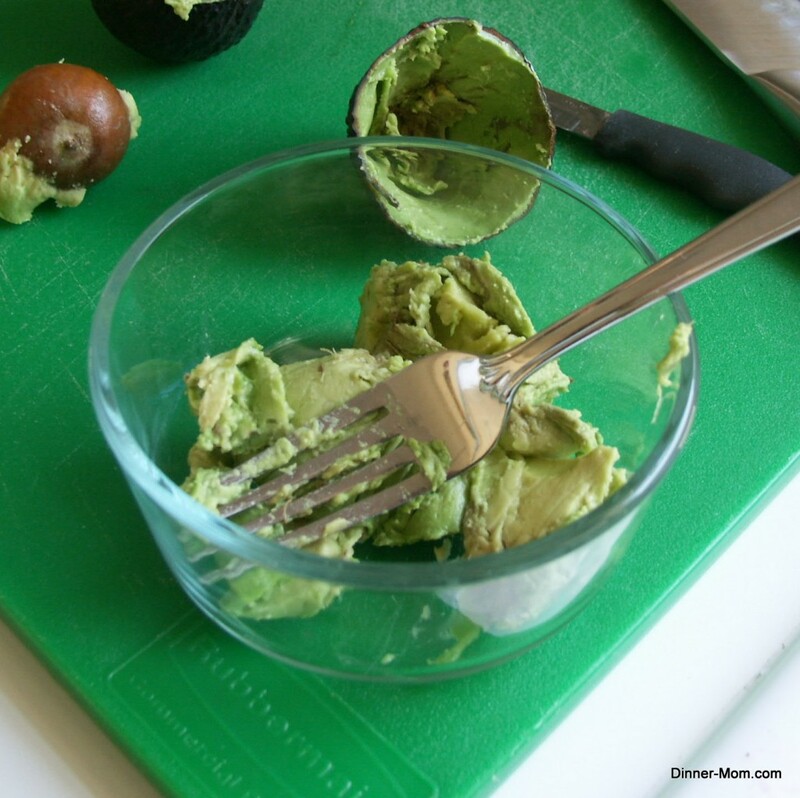 The avocado pulp will easily scoop right out. Mash it with a fork. But leave some chunks too. Add freshly-squeezed lemon or lime juice, depending upon your preference. I find that the lime juice can overpower the final dip. The juice prevents the avocado from browning…so you’ll want to use plenty. Now gently fold in the tomatoes, cilantro, and onion. Sprinkle with salt. At this point, you can add some cayenne pepper if you need a little heat. Once everything is mixed together, add just a little more lemon juice…just to be sure everything stays fresh-looking. That’s it…a beautiful, delicious, healthy and simple guacamole dip that’s perfect on its own or slathered atop your favorite taco or sandwich. Serve this simple guacamole dip recipe with chips or vegetable crudites, such as carrots and cauliflower. Need a small batch? 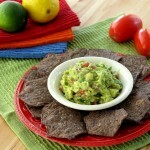 Check out One Avocado Guacamole for a single serving recipe. Simple guacamole recipe that is so good you'll make it again and again. Add tomatoes, onion, and cilantro to the bowl. Ingredients are more or less. That is, if you love cilantro, add a little extra. If you don't like it hot, leave out the cayenne pepper. Serve dip with chips and vegetable crudites. Guacamole will freeze, but will have a different and more grainy consistency upon defrosting. Thanks for an easy to prepare and tasty dip! I can’t wait to try this! Do you have any hints on picking ripe avacados? Or storing leftovers? Hi! Hass avocados start to turn purple when they are ripe. If you put them in a brown bag you can speed up the process though. Once ripe, you can store in the fridge for a few days. Once processed, add some lemon or lime juice and you can store this mixture in the fridge for a few days. 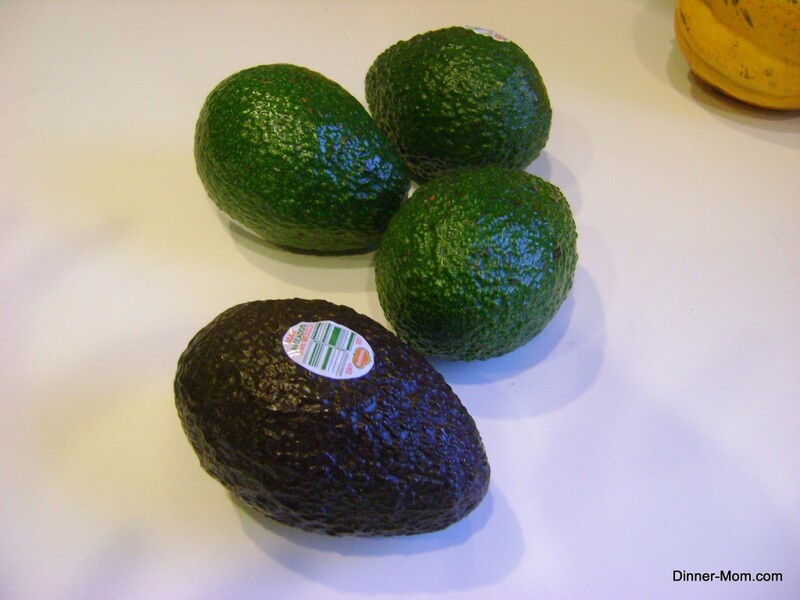 Check out this link which has lots of information about California avocados. California Avocado Commission. I use this recipe often! Don’t skimp on the lime juice. It prevents the avacado from turning brown! This is the best guacamole!! Yay!!! I’m so glad you found it!